my life as a brownie. : bua. I remember walking off the plane, filled with red cloth chairs and stewards that kept giving my sister and I candy. I remember my ma gathering all of our stuff as we were too small to help her out. My next memory is a garage door opening with a smiling face of a small little woman waiting for us patiently, smiling. That woman is my bua (aunt), Anita Seth. She's my first memory when I first entered Canada. It's strange how all of my younger memories are of India. It was a pivotal period in my life that I will share in another post. 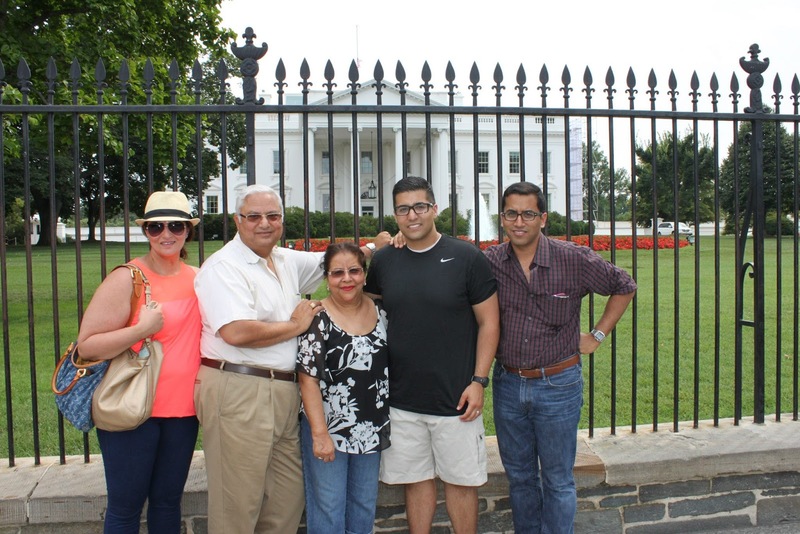 This post is focusing on what led me to speak about my bua. 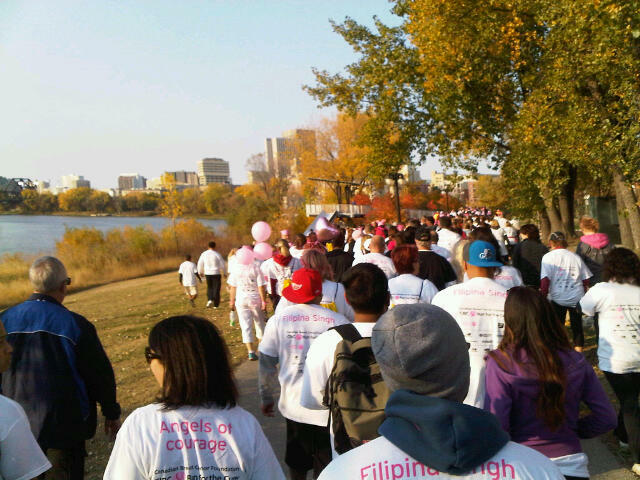 The annual Canadian Breast Cancer Foundation CIBC Run for the Cure walk was this past weekend- Sunday September 30th. I remember being so happy last year because I was walking for a personal cause, my bua - who was in remission at the time! Right after the walk, I immediately called her and started tearing. It was a moment that I won't forget. Not because she fought cancer but because it was my bua. The person who yells at me when I do something wrong, laughs at all my jokes and is a pure child at heart. This year was a bit different- or rather alot different. This year I am not in the same position as I was. Bua's cancer has come back. We found out this past summer. I do not often show to others how much it has affected me, but each and every day my heart aches. Aches for her to get better. The day we all found out that it had come back, our entire family (consisting of my sister, ma, papa, both cousins, sister-in-law and uncle...and of course bua) spent the weekend with her. I could not sleep for weeks. It definitely has to do with the fact that I cannot imagine my life without her and never want to. She is so dear to me. I always think to myself how much I complain over the smallest things. I know it is human nature to do so- to feel that your life issues are far more important than anything else. But when you look at the 'big picture' its really not so bad. I guess this post is to portray in words how proud I am of her. The reason being is how strong she really is. People often say, "that person is so strong" I never REALLY understood what that meant until now. She never complains and acts as if nothing happened to her. Though I know, well our while family knows that the fear of death is with her, but being around others is what keeps her smiling and encourages her to continue to be strong and fight her body off of this disease. She will be a miracle. I know she will.... After all, she is my bua. Patrick(childhood friend) and I at the walk.